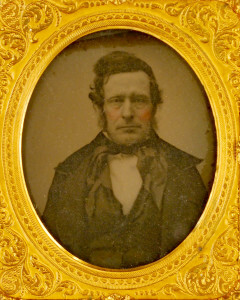 Joseph Addison Parkhurst (1806-1866) was a Tewksbury farmer, married to Lydia Allen in 1835. The couple’s oldest daughter Rhoda, born 1836, was married before the War to Chelmsford native and house painter Augustus M. Davis. Mr. and Mrs. Davis moved to Andover about 1886.